Are you not blogging? Really.You should be. Why you should start a blog? Are you thinking it is a waste of time? really, think again. If you have above questions or thoughts then you should be reading this article. Today I am going to show you various reasons why you should be blogging. There is no doubt that blogging is one of the best and mostrecommended way to make money online. But still majority of people are not aware how to blog or why they should blog? Let`s understand What is a blog? Blog is a site where a blogger regularly update posts such as news articles, technology article, updates, magazine style articles, essays actually anything that a blogger love to. You may have seen that on blogs you do not have to register to see it`s content. A blog is an online platform of latest and trendy content to share latest updates with readers worldwide. Not only bloggers but also businesses have their own blogs focused on static pages. You may have already seen many blogs but till now you did not had any idea what type of site was that. Blog is something that you can`t expect to be rocking from day one untill you invest your time and some money in process. 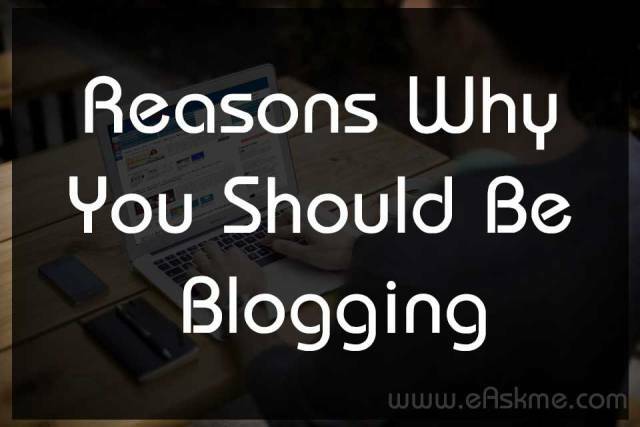 So let`s focus to the topic and let me show you various ways why you should eb blogging. It is really easy to start a blog, that is why anyone who want to be part of blogosphere can start his own blog in just few clicks. You just need to get a domain, web hosting and a good theme to start your blog. Bluehost is one of the best platform to star WordPress bog with their one-click installation feature. You can even start blog on free platforms like Blogger or Tumblr, but if you want to make money as professional blogger, than you should at least buy a custom domain which can cost to max $12 a year and use a custom theme. It is really easy to start a blog. Check blogging Guide. It is said and proved by various professional bloggers that within a year of professional blogging you can easily reach 6 figure income. There is no doubt that it takes more efforts to make money than starting a blog. You need to publish posts, attract readers and promote your content on various social platforms and even offline. It is also the duty of a blogger to make his blog a brand. It took me around 6 months to learn everything about blogging and start my very first professional blog. If you follow everything to start a blog, than you will definitely be a professional blogger. The best thing about bogging is that even a technical illiterate can start a blog. All you need ot do is follow the step by step guide to start a blog. Without any technical knowledge of coding or websites you can very easily start your very own blog. With the help of BlueHost hosting you can start a selfhosted Wordpress blog in just 5 minutes. Isn`t that easy. All you need to buy a web hosting and you will get a free domain name and then you can start the process. You can install Wordpress on your hosting and start creating Posts and pages. The best thing which makes me love blogging is that i can do blogging from anywhere. Whether you are traveling or sitting at home or staying at hotel or sitting in a coffee shop or even in abroad, you can work on your blog from anywhere, all you need is a system (Laptop/Computer) and internet connection. It`s not about money always. Many bloggers write on blogs just to create awareness about some social cause or spread their views with the people or followers worldwide. If you do not want to make money than you can start a blog on Blogger to Tumblr these are free platforms. But if after some time you want to make money blogging then you can move your blog from free platform to WordPress. Always recommended that you start a blog on custom domain with custom theme. There are various free platforms available where you can start a blog such as BlogSpot, Tumblr, or WordPress.com. But if your focus is to make money blogging, then you need a custom domain and Web hosting and a responsive template. But if you just want to share thought than you can go for free blogging platforms. You can easily start a blog on Bluehost with their one click Wordpress installation. Blogging not only help you to get an online platform but also helps you to become a better writer. The more you write the better writer you become. There are so many bloggers who never had any idea about how to write in the beginning but with time they spend blogging they becomeprofessional writer. It`s just like practice makes a man perfect. You can start a niche blog or write on a specific subject to share your experience and expertise with people around the world. A profitable blog is a blog which actually help others with its content. For example: PCMAG blog is about least technologies. Blogging is a process of gaining more and more knowledge. The more knowledge you gain the more credible you become. It helps you become expert in your niche. It also helps you to become an authority blogger. Sharing your experience is always the best way to establish yourself as a professional blogger. Do you know that you can even add a blog in your resume and give it a professional look. But for this purpose you should have a blog with appropriate content and look professional. As more and more businesses are hiring professional from social networks such as LinkedIn, adding a blog in your social profile help you to attract more offers. It also shows that you have a good knowledge about what you write and you are passionate about learning new things. Every business should be blogging .Businesses have many reasons to add a blog on their site. Blogging also help them to create awareness about their products or services. It also helps to build your blog as a brand. A business blog not only takes about its products but also transfer knowledge to its employees, share about events and help to generate new ideas. It also gives customers a good platform to learn about the business and its services. It has been observed that businesses are getting more sales after adding blog on their websites. It gives a boost to their brand and builds trust among customers. The stronger a brand become the leads it can generate. Brands can even link their blogs with their social profiles and share what they want to promote easily via their blogs on various social networks. This also helps to boost more sales. Blog is one of the best tools which work as PR for abusiness. Businesses post their new launch announcements on their blogs. These announcements help to attract more readers. There are various blogger who have become brand by writing as the top most professional in their niche. For example Perezhilton.com is the creation of Mario Armando Lavandeira Jr, but now he is also known as Perez Hilton just because his blog become so famous among celebrity and the world. Blogging is for everyone. No matter you are a journalist, a writer, an author or just a schoolboy, You can learn and promote what you want to share with the world with the help of blogging. You can make money from blogging or even sell your blog. It is the hobby of a professional blogger to write about latest and trendy topics. This habit makes him a researcher. He needs to research about latest trends and understand them before writing about them on his blog. The more information your blog has the more readers your blog attracts. Blogging brings the network opportunities. Bloggers always have so much knowledge that they have to offer many things. When your blog becomes a brand, you become a brand. For this you need to establish a bigger blogger outreach to expand your knowledge and connections. Discipline is the feature of a blogger. if you are not disciplines about your work you cannot be successful in blogging. You should regularize your blogging work and this will help you gain expertise. Blogging bring creativity. It makes you a good blogger and also makes you a writer who knows how to express himself in really creative manner. When you are writing on a blog, you do not write as a student in examination-you write as professional who knows his strengths and limits. The beauty of blogging is that it brings fun on your way. You can work whenever you want and from wherever you want. You will be your own boss and can write about anything you want. it is a great fun when you turn your blog into a successful blog. Your first job is to create quality content writing pillar articles and second is to understand your readers and write for them. Being a professional blogger is really good for confidence. It makes you a more disciplined person. You not a man of publish button but you are a man of your own will and love of your readers. The more content you write the more money you make but only if your readers love your blog. Blogging makes you an organized person. You can organize from day one but you develop this habit when you start writing regularly. The more you write the more organized your become. When blogging you are not only writing but also optimizing and promoting your content to grab more business or make more money. If you are really a dedicated blogger who wants to deliver a message to your valuable readers, than you have the ability to inspire others. No matter you are writing reviews or sharing latest news, there is always a good chance of inspiration. If you are able to convey your passion into others, you are an inspirational blogger. Blogging boost confidence in a blogger. So when you become a blogger, you have not fear to reveal your thoughts. Blog more fear less. After writing a blog post, which you believe going to attract readers and make them engage with your content, hit the Publish button, you feel great. Why because it took a good amount of effort to write a post such as keyword research, finding resources, taking main points, writing to the point, storytelling and proofreading. When you hit the publish button you make your work available for the entire world. Everything your write on blog have the potential to be seen even after thousands of years. Maybe your greatest grandsons want to see how life was back in your time. Do you have the passion to be amazing? If yes, then believe me blogging is for you. Not only for you but for everyone who wants to bring something more in his life and wants to become more and do more. 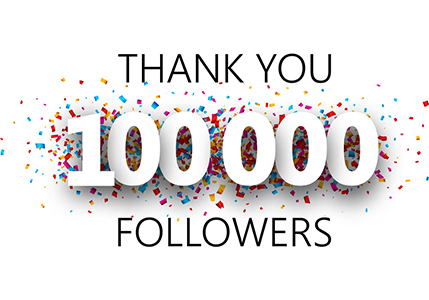 Everyday millions of new blogs are rising. SO you see lots of people are blogging, not just for money but for everything. Blogging helps you to build your own blogging community of likeminded people. It is the human nature that people of similar interest always gather at same place. If you are posting what your readers love, they will come back again and again. Not only readers but professional bloggers also like to connect with you. There are the high chances for a blogger to get free stufffrom businesses so that they can test and review the products and services of various bloggers on their blogs. Do you want to establish yourself as a professional blogger? If yes always work for an important cause. You can create awareness aboutsomething. This will also help you to make money by getting trust of your readers. Blog is one of the best supporting tools for an online business. If you have website to sell products than you should focus on getting more leads by getting more traffic. If you want to rank your product, product listing page not work well, you need to have in-depth content to support your product to rank higher in Google search. If a blog publish quality content on regular basis then your blog will easily turn into a community. Comment section of your blog also plays an important role to answer the questions of your potential buyers. This will make buyers believe that their voice can be heard. When you spend a good amount of time blogging about some specific topic, you will certainly gain more knowledge than many other people. This helps you boost your expertise and you be able to try new things and test new ideas as an expert. People come to look for your expert advice when they find you have better knowledge about something what they lack. These days schools are willing to choose those students who have something extra than other students. Blogging brings you a platform to show what more you have inside to the world. Your blog shows your knowledge and confidence. This will help you to shine when you enter in a school. Blogging brings you more opportunities to work than anything else. You can work in a company or work as a freelancer. Blogging brings you a lot of work as a blogger, as a writer and as a marketer. Blogging also brings your popularity. The more popular your blog becomes the more popular you become. The more people know your blog they also know about you. With the time you also become the center of talk when someone talks about your blog. This is really amazing thing. So these are the 37 reasons why you should be blogging. I believe you will find your reasons among them. What is the best Time to start a blog? People always ask me that what the best time to start a blog is. I recommend the best time to start a blog is now. The sooner you start the sooner you can get successful. Time is the money. If you still have any question feels free to ask me via comments. If you like this guide why you should be blogging? Feel free to share with your friends and family or on social platforms.